A small change needed. The page you went to with a url that has mountainviews.ie/mv/index.php is now superceded by the url at the top. Use this new form of url in future. Change any shortcuts or bookmarks you may have for the old format. Straightforward ascents for great views. 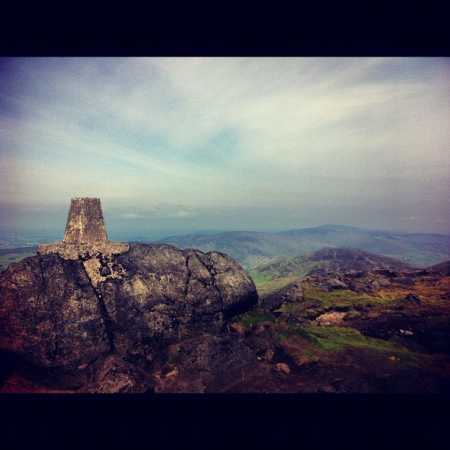 Slieve Foye, the County Highpoint of Louth, sits dramatically above and to the south of the entrance to Carlingford Lough. There are mountain views NW along the Cooleys and distant views of the Isle of Man however this place is famous for its southern perspective of the Mournes. 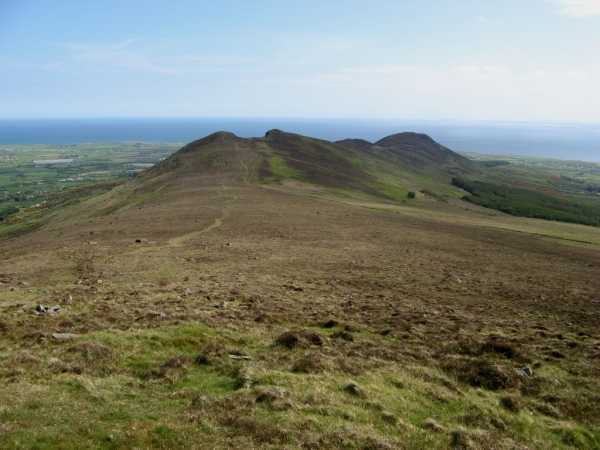 As of 2013 it was the 31st most logged mountain in Ireland. We climbed Slieve Foye on Saturday 13th February 2010 having decided to follow the new Slieve Foye looped walk as found on the Louth Co. Co. website. 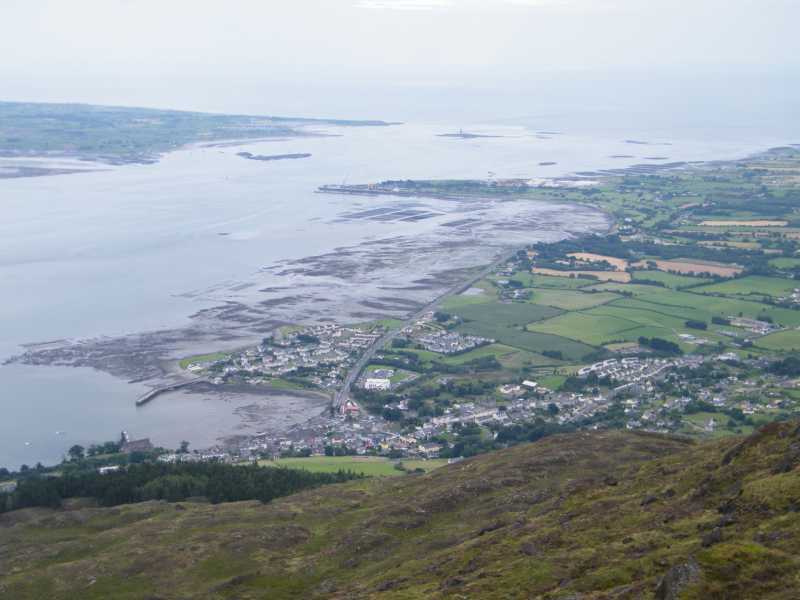 Unfortunately the walk is not yet fully developed and descent from the gap below the Eagles Rock could be dangerous for inexperienced walkers due to the lack of a defined path, sudden cessation of signs and on-going clear felling of the Slieve Foye forest. 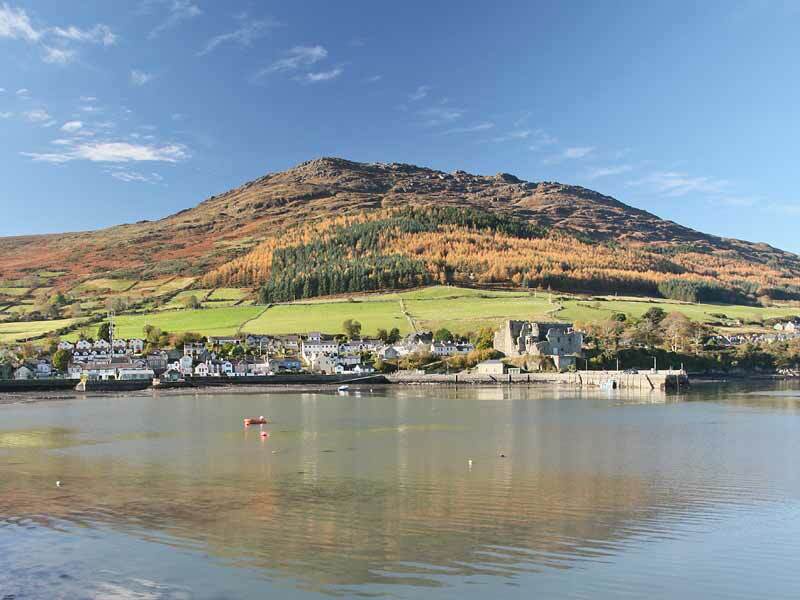 The route from the centre of Carlingford follows the Tain Way for about 500m up a steep road to a cross roads where the Tain way turns off to the right. At the cross roads continue uphill along a path sign posted Barnavave then a short turn to the left and over a new metal stile to where the path meets another part of the Tain Way. 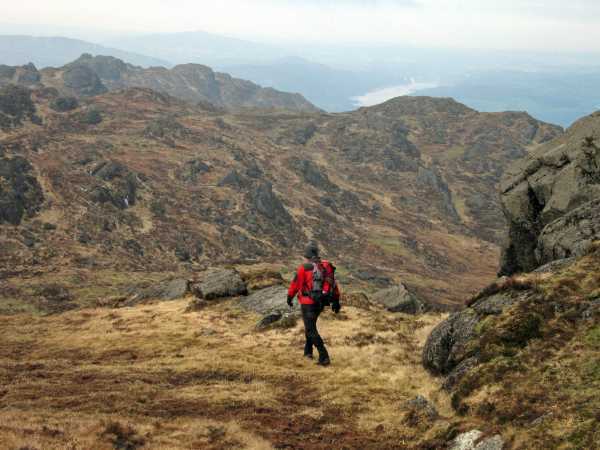 Follow the Tain Way to Barnavave gap and then turn right up the ridge towards Slieve Foye where there are signs for the Foye looped walk. A short scramble leads to the summit (there are harder scrambles on the rocks if you want). It was quite icy on top. The views from Slieve Foye across Carlingford Lough to the Mournes were fantastic and a rocky ridge leads NW from the summit towards The Eagles Rock. Just below the Eagles Rock signs for the Foye looped walk lead off to the right (NNE) down a steep valley towards Slieve Foye forest. Then the signs stop and here the problems arose. We tried to make our own way down towards the car park shown on the map and avoiding the steep cut of the river in the valley. But there was no track and even worse, no gate or stile into the forest (which is now no longer a forest due to on-going clear felling). Eventually we managed to cross the fence and struggled over the remains of fallen trees and through deep sticky mud to reach the Tain Way which we followed back SE to our start in Carlingford.